The Ping Rapture fairway wood features a 100% titanium head with a machined 6-4 titanium face. It also features a very low and deep center of gravity to reduce spin and create an optimal launch angle. 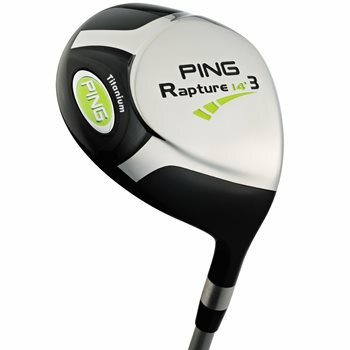 If you''re looking for a long and accurate fairway wood, look no further. The fully-machined face is robotically plasma welded to the body for consistency and durability. An internal weight pad positioned directly below the center of gravity increases the launch angle and reduces spin for long, high, soft-landing shots. The larger head size increases the moment-of-inertia for more forgiveness. Review by Bob B, 1 year ago.